Contact us for prices and to arrange a visit to the farm: 208-689-9868. We are open by appointment only. Larger trees available for businesses with their own digging equipment. Colorado blue spruce are beautiful and tough! They handle heat, cold, drought, and soggy soil conditions; and deer don't eat them! 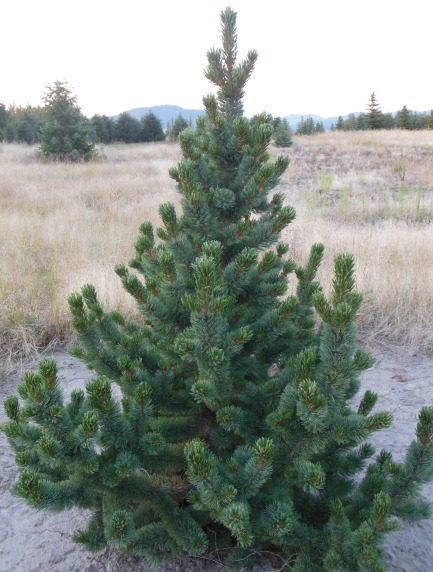 Bristlecone pine: Unique form and slow growing for small spaces.